If you’re looking for new copiers in Milton Keynes and across the UK, you’re in the right place, at Nationwide Copiers we provide a range of new photocopiers for sale, you’re bound to find a copier that suits your requirements. At Nationwide Copiers, we don’t believe it’s ‘just a copier’ that you need, we’re experts when it comes to photocopier machines and we can provide help and advice to ensure that you choose the best office copier for your needs. We’re home to a selection of the industry’s best branded new copiers and our product portfolio includes some of the best commercial copier machines that come with a range of functions and technical scope. When you use our new copier services you can trust that you’ll receive a office copier of the highest standards. Photocopy systems are fast becoming one of the most important setups in the office, they’re an essential for the majority of business operations and at Nationwide Copiers we provide a range of office copiers that are equipped with multi-functional photocopier functions for printing, scanning, faxing and photocopying. When it comes to new copiers, at Nationwide Copiers we specialise in providing copier machines to the highest standards and you can trust you’ll receive the best commercial copier machine when you choose us. 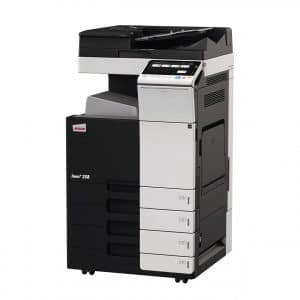 Our selection of photocopy machines includes systems from the most renowned brands, including Ricoh, Canon, Develop, Riso, Olivetti, Sharp, Xerox and Kyocera. There’s really no need to consider another photocopier company for new copiers in Milton Keynes and across the UK. Our new copiers are from the best brands and the most competitive prices, our professional team has over 30 years’ experience in new copiers and are home to a helpful team of photocopier technicians who are equipped with all of the support and advice that you may need. When it comes to a fast, reliable and effective service, Nationwide Copiers are the team to call on, make sure you visit our site and choose from the range of new copiers that we have for sale. What’s more is we only use value for money pricing with no hidden fees, get in touch with Nationwide Copiers today! At Nationwide Copiers our team will go above and beyond when it comes to your new copier needs, our professionals will work alongside you to ensure that you’re happy with your new photocopy machine. When you choose us for new copiers, we also aim to make sure that your equipment is efficient and hassle free. When you choose to buy a new copier from Nationwide Copiers, there’s no need to worry about contracts and trading requirements, something which is necessary when you lease a photocopier. When purchasing a new copier, you will also have the option to take out a separate maintenance contract, this will prolong the life of your copier as well as ensuring that it’s operating to its full potential at all times. Buying a photocopier is a cheaper option, especially in the long run, you’ll save money buying a copier outright over leasing one, this is because you won’t pay interest. Buying a new copier means that you own the device from day one, purchasing a piece of equipment outright puts you in total control and you can upgrade the system whenever you like. With today’s technology, photocopier systems are becoming more and more reliable, you could own a machine for a number of years without having to make lease copier payments. You also won’t pay interest charges or fees during the life of the machine and then you won’t have to give it back to the owner at the end of the leasing period. You should always remember that toner and maintenance costs will be added on to leasing services. Nowadays, copiers do so much more than just copy, copier devices provide multiple document management activities including scanning and emailing. The main function of a photocopier is to produce paper copies of documents, most copiers use laser technology, a dry process that uses electrostatic charges on a light-sensitive photo-receptor to transfer toner onto paper to form an image. 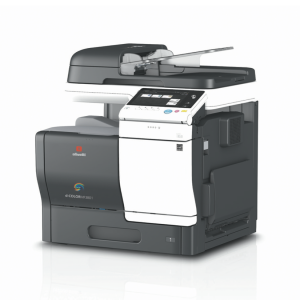 Copiers come in full colour for extensive copying or mono which is great for reproducing simply typed documents. Known as one of the most beneficial features of a photocopier, resizing functionality, you can reduce a large image down to a smaller size, so it will fit within a letter sized document. Similar to photocopying, a scanner will produce a copy of a document rather than producing a paper copy, the scanner creates a digital copy which can be opened on a computer. Dependent on user preference, scans can be sent to computers through email or sent directly to a folder through a network. Printing is the logical addition to photocopier and scanner devices, rather than sending scans to your computer, a printer will receive documents from your computes and produces physical copies. There’s a number of things to consider when looking for a new photocopier with print functionality, these include duty, cycle, speed, quality, colour output, costs and capacity. 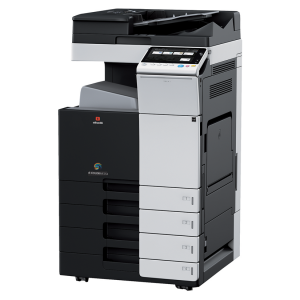 Why should I buy a new photocopier from Nationwide Copiers? Choosing to buy a used photocopier, especially over leasing one is much more convenient for some people. Hiring one may need a 3 year minimum trading requirement and purchasing a brand new model can be pricey, so purchasing a used one outright means that you won’t have the high cost and won’t need to worry about hiring agreements. Should you be looking to buy a new photocopier in Milton Keynes or anywhere in the UK, look no further our team of professionals can help. You can trust you’ve come to the right place with Nationwide Copiers, we have a wealth of experience and have been providing new photocopy machines to the businesses of Milton Keynes for a number of years. For more information, or a FREE quote call our team today. Nationwide Copiers are one of the leading companies in Milton Keynes, offering copier sales and leasing. We are also independent distributors of digital business equipment, sales and servicing. Our team of experts is always on hand to provide advice and assistance.